Ferrall Dietrich, is the owner of Core72, a local women’s lifestyle boutique catering to the professional, yet cool and comfortable way of life. 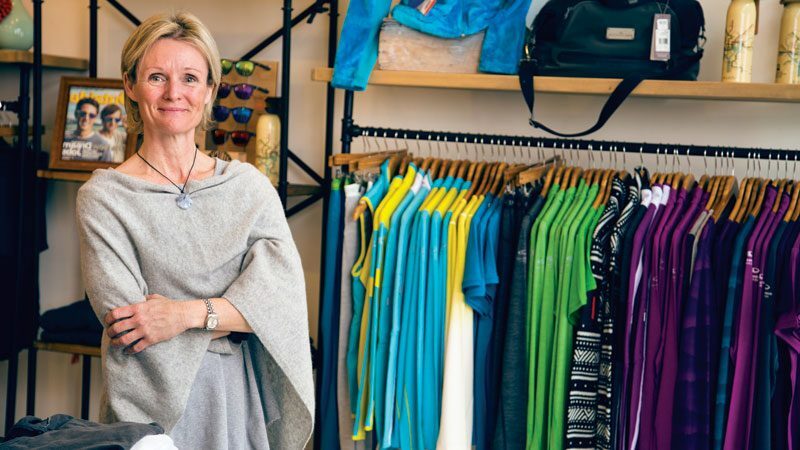 Her story is the perfect way to close out National Women’s Small Business Month. Here’s what she had to say. Although I grew up in Washington D.C., I have spent a significant part of my adult life out West and in the outdoors. I love the importance that is placed there on living an active, productive life in balance with being more relaxed and laid back. I love all the companies that support this lifestyle. With Core72, I wanted to bring a bit of this vibe to my hometown, and hoped to do so through the unique, different lines of active & lifestyle apparel that get their start out West, but are more difficult to find here. Never underestimate the power of your community. Being an entrepreneur and small business owner is not easy and can often be lonely. To help me navigate this unpredictable retail world, it has been so important to have behind me a network of fellow women small business owners, family members and friends who all provide varying levels of advice, insight and guidance. I couldn’t do it without them. I plan to shop locally and often at many of the women-owned small businesses I know and love in the Washington D.C. area. Q. Was there a female figure or role model that you feel paved the way or inspired you to be an entrepreneur? Q.What was the biggest sacrifice or hurdle you faced to start your business? Retail is a very capital and time intensive business. Both of those elements required a significant personal sacrifice to ensure that the business was able to launch successfully. Q.How do you maintain a healthy work/life balance? Although this really is a bit of a 24 hour gig, I try not to physically be in the stores at least one or two days a week. I use this time to be with my family, workout, walk the dogs and get outside. We spend a great deal of time in Rock Creek Park!